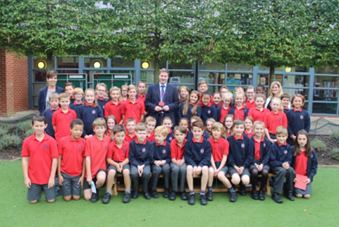 Monday was a very special day when our Year Six pupils shared their election speeches hoping to persuade staff and peers to vote them into positions of responsibility during their final year at school. The content and quality of their speeches was quite exceptional and it filled me with such pride to hear our pupils talk with such maturity and thoughtfulness. Congratulations to all pupils who showed great courage in speaking to the assembled audience and thanks to them, and those families who have encouraged children, in the preparation of speeches. 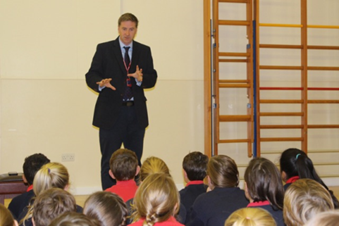 Winchester MP Steve Brine had visited the children on Friday to talk to them about democracy and to reflect on his own experiences of campaigning in an election. 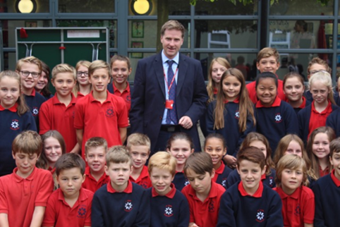 (News of this visit can be found in the Hampshire Chronicle this week- do have a look!) We are looking forward to sharing the outcomes of our school elections in the newsletter next week.